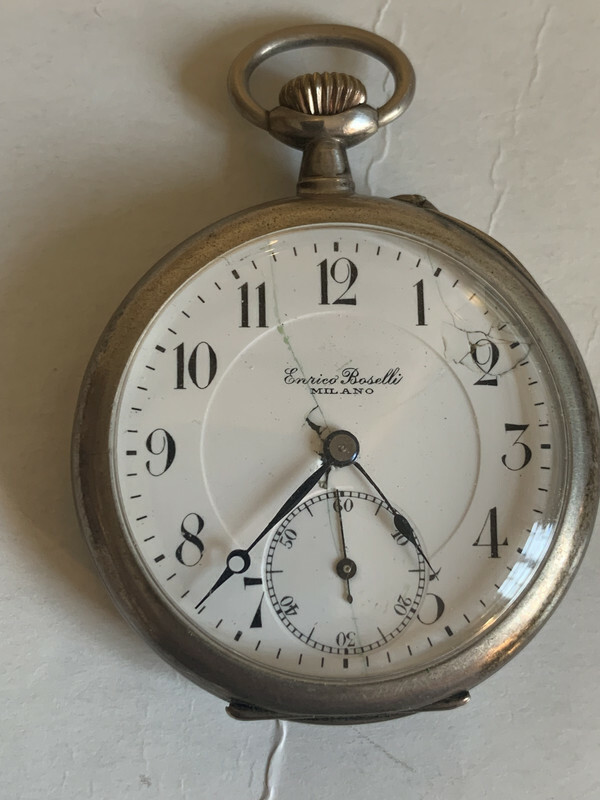 Hello everyone, I'm looking for some advice on a pocket watch. It's been in the family a while, and I'd like to get it it rerfurbished. Also, any information of the watchmaker gratefully received. I don't have much to go on, it was passed to me some years ago and has been in a drawer most of that time. 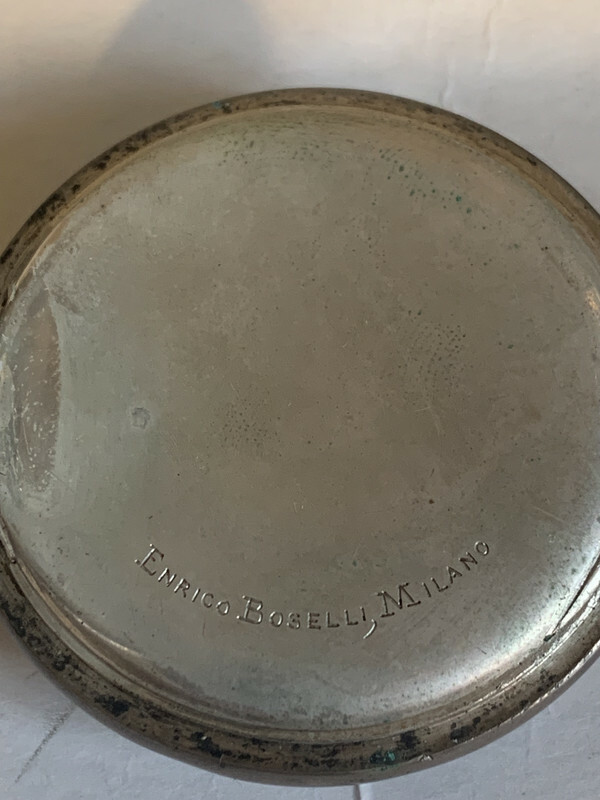 The makers name on the front and the inside is Enrico Boselli, Milano. A quick Google search has given me a lot of hits in in Italian - if which I speak not one word. The good news is that it winds and runs. The bad news, at least the visible bad news, is the dial is damaged. I've been recommended Lynton Dials as a good refurbisher of dials, but it needs more than just the dial, I'm sure. I haven't opened the back as it's a bit stiff and I don't want to damage anything. Advice on how and where to go to to get this back to a decent state gratefully received. I have a bit of googling to add to the obvious, which is that Boselli were primarily a maker of clocks that seemed to do well in the second half of the 20th C. They collaborated with Gio Ponti who was a well known industrial designer. I also saw a reference to them being an importer of Swiss movements and clocks in the ‘40s at least. Have you looked at the movement? Brendan can fix porcelain dials IIRC.